Review: The University of Alaska Anchorage is the largest school of the University of Alaska System, with about 17,200 students, about 14,000 of whom attend classes at Goose Lake, its main campus in Anchorage. 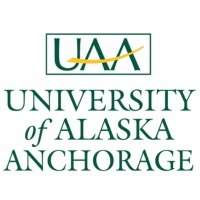 The University of Alaska Anchorage (locally called UAA) is divided into six teaching units at the Anchorage campus: the colleges of Education, Health and Social Welfare, Arts and Sciences, Business and Public Policy, the Community and Technical College, and the School of Engineering. Included with UAA for administrative purposes are four community campuses: Matanuska-Susitna College, Kenai Peninsula College, Kodiak College, and Prince William Sound Community College. UAA offers graduate school degrees, including the master's degree and the Doctor of Philosophy degree through its Graduate Division. The university's history in Anchorage began in 1954, when the Anchorage Community College opened, using the Anchorage High School building during evenings. Anchorage Senior College began teaching upper-division classes in 1969, and then it became the four-year University of Alaska Anchorage in 1976. UAA, the community college, and the rural extension units were merged in 1987 to form the present institution. Location & access map for "University of Alaska, Anchorage"